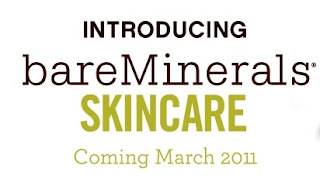 Bare Escentuals is expanding its offerings with the new Bare Minerals Skin Care collection out in March. The products will promote glowing complexions by way of cleansers, moisturizers and much more, priced around $20 a pop. They will also feature a proprietary RareMinerals ActiveSoil Complex, which contains a blend of 72 essential macro and micro minerals that dramatically improve the appearance of skin by increasing cell turnover and providing antioxidants at levels significantly greater than blueberries or pomegranates, according to the company. Bare Escentuals posted a teaser block and a video about the upcoming launch.